My PhD is part of the BBSRC, University of Nottingham Doctoral Training Program (DTP). 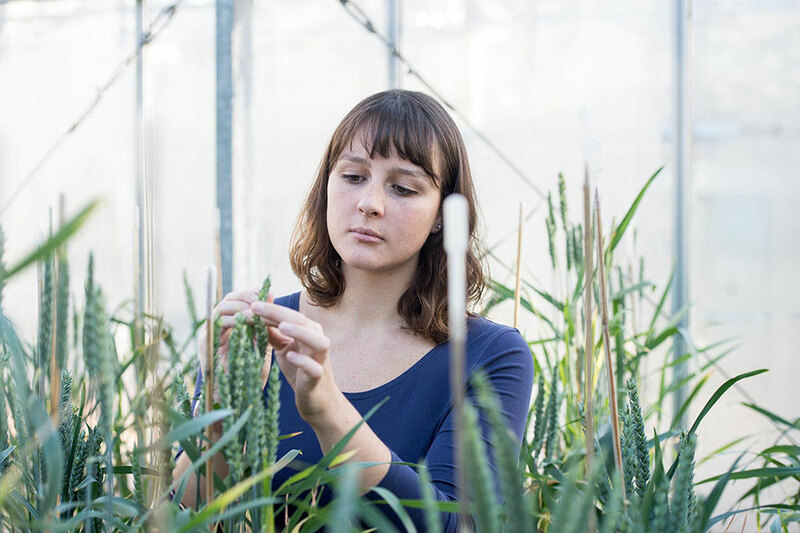 I was initially going to apply for projects based at the university, however when I realised I could study at Rothamsted Research I jumped at the chance. Having already spent three years studying at a university, I wanted to experience studying at a research institute. I am really enjoying my thesis project so far, working to generate novel dwarfing Rht-A1 alleles in wheat, as I get the best of both worlds working in the laboratory and performing field trials. One of the best bits of being a PhD student at Rothamsted is the access to training. I am a student representative of the Post Graduate Training Committee (PGTC), which exists to provide students with the opportunity to request additional training courses that would benefit their studies. Rothamsted also have an annual two-day Student Symposium, where students can showcase their work to the Institute. This enabless us to practice our science communication skills before attending national and international conferences. Outside of my PhD, I am trying to make the most of living so close to London, which is only 30 minutes away by train. I’ve also enjoyed the range of social events on at the Institute, from the annul Sports Day to Halloween celebrations, and of course the student cheese and wine social!